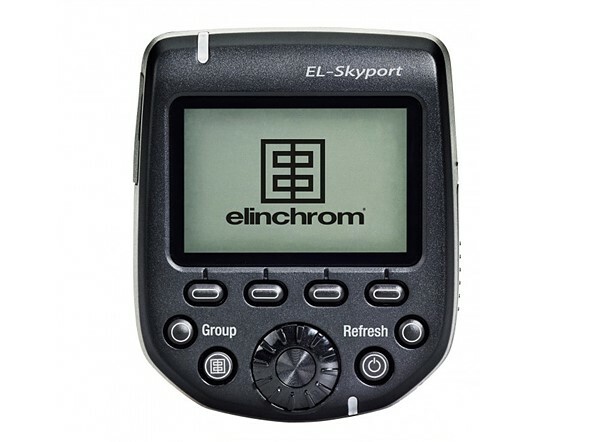 Flash manufacturer Elinchrom has released new firmware for its EL-Skyport Transmitter Plus HS for Olympus so that the device will be able to work with Panasonic Lumix cameras as well as Olympus OM-D models. The transmitter, which is already compatible with all OM-D and Pen models, as well as the E-5 and E-410, will now work with Lumix models as far back as the G7, including the LX100 compact and the FZ1000 bridge camera. Compatibility with the system means that the listed cameras can be used with a Skyport transmitter to trigger and control the output of a host of Elinchrom flash heads. Elinchrom products that can be used range from portable battery-powered heads to units designed for studio use. Photographers can use the Skyport transmitter to control four groups of heads via 40 channels, and a high speed sync mode allows shutter speeds as short as 1/8000sec. Elinchrom says that the system has an operating range of 200m, and that the 2.4GHz radio communication signals can pass through walls. The Skyport transmitter costs $249/€249/£199. For more information visit the Elinchrom website.